Well it's been a very strange and very difficult year. I've been going through a personal situation that has had an impact on those around me and am coming out the other side having to make changes. I have had lots of help and support on the way, and thank those that have been there for me. 2017 will start a new chapter for me. I won't write my usual list of things I hope to achieve or look back at the things I failed to get done last year. I'll be kind to myself and look to next year as being one of sorting myself out. Anything else that happens will be a bonus. and just sit back and enjoy a bottle of pop. Even if you're the Norse God of Mischief. Last Collage Postcard of the year to Jemma. I love the retro feel of the spaceman, trapped in time. I've no idea where I cut him from, some old annual or other. I was really pleased that the whole things survived the postal service as the TICK and TOCK are bit of car that are not flush with the postcard itself and therefore I thought they might get knocked off. As is typical, I took quite a few photos over the year, it's so much easier with the phones we have these days. and just as typically I ended up deleting a lot of them in order to make space on the iPhone for useful (and some not so useful) applications. These few survived though and I guess it's a good indication that I like them in that I deleted quite a lot but always kept these safe. I guess it's my way of editing. Sometime late in the 20th Century I was at a loss as to what to buy in the local HMV and came across this. 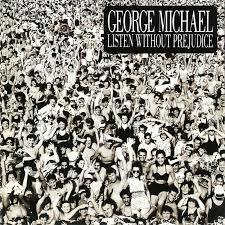 I wasn't a big fan of George Michael. I wasn't a big fan of the sort of music that you're expected to jump up and dance to. I remember a sales assistant wandering past as I was about to put it back and saying, 'That's a great album ... nothing like his other stuff ... but still great'. I looked at the title and decided to follow its request... or demand. It's one of my favourite CDs. Very moody ... mostly acoustic (I think) ... well written ... thought provoking. I often wonder why George didn't continue in the vein. He obviously had a great talent. Maybe the expectations of the masses (I don't think this was as commercially successful as the more 'dance' oriented CDs were) drove him in a different direction. No chance of a Listen Without Prejudice Vol 2. I'll just have to be content that he gave us Vol 1. There have been a lot of celebrity deaths this year but the one that effected me the most happened a month or so ago. I think Leonard Cohen was the first artist I followed for their lyrics. Growing up I'd always listened to the words being sung as much as the voice and music bringing them to life and tended to like the more thoughtful songs, The Trees by Rush ... Mutually Assured Destruction by the Ian Gillen Band and pretty much the entire Dark Side of the Moon and Wish You Were Here by Pink Floyd but with Leonard the words were just so earthy. They had a beauty to them that was always at odds with what they were saying. Sure his voice wasn't perfect, although I'd argue that it probably was for his songs, but his songs were. I think he must be one of the most 'covered' artists out there, which talks to the respect held for him by other artists. I always welcomed a new album as there were always a couple of gems in there, and such is the case with the album released shortly before his death. I never got to see him perform live but his CDs are never far from my CD player. His songs will last forever I think ... not a bad legacy. Another collage post card for my daughter. This one on the great H.G. Wells book The Invisible Man. 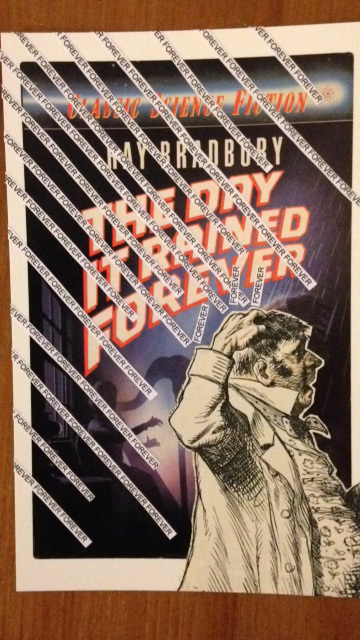 First step was finding an appropriate image, cutting out one of the characters and sticking the result on the original Penguin cover post card. Then cut out the title from letters in the same source book. cutting out the card behind the Invisible Man ... so you can see through him in the real world. And then simply put some dialogue on it. Just add a message to Jemma on the back, her address and a stamp (which I did forget with one card) and send it on its way. Seems it was received in good condition. Was it really 2 years ago ? Well the CD is great of course but, as I knew would be the case, it really doesn't go anywhere near capturing the event. As I listen to the tracks I can still remember the night itself, marvelling at how things played out in front of me. I do wonder how people will respond to the CDs without that reference. And am glad that I was there. WesterNoir TPB Vol.1 gets its first review. 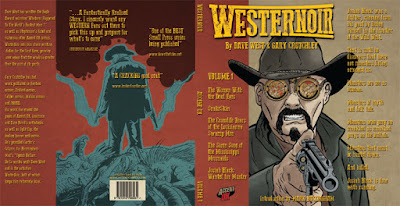 Ian Carter says some nice things about the first volume of WesterNoir over at www.nerdspan.com. This week I found myself staying overnight in London once again with the day job. What do you do with yourself in such circumstances ? Well, I'll confess, usually not a lot. This time however I decided to go and see the new Dr. Strange movie on the IMAX in Leicester Square. Well two reasons really. Firstly my usual cinema buddy, my daughter Jemma, is away at University and secondly Chris Dingsdale, but don't tell him I follow his advice, heartily recommended it on Facebook. Now I'm not a big fan of 3D cinema, but I wanted to experience the full spectacle and so within an hour or so I found myself sat in front of a very large screen, wearing silver looking glasses over my normal ones and hoping that they worked better when the film was on than they did when it wasn't. The film itself was very good. Solid story, great character development (and Stephen Strange although similar, was very different to Tony Stark (which had been a concern of mine)), some nice humour here and there and great acting... but it was the special effects that made it fabulous. And the effects worked so well on the IMAX that I found they messed with my mind at certain points. Although I was sat in a chair I found myself trying to right myself as the images in front of me kept tumbling, with floor becoming wall and wall becoming ceiling. This is my favourite Marvel film to date. I don't think it'll be quite that when it hits my 2D DVD collection but sat there watching it on IMAX it certainly was. The one small thing that annoyed me slightly was that, to my uneducated ear, the sound track sounded a little too similar to the new Star Trek theme tune, although I loved the 'Sherlockish' version at the end as I waited for the second extra scene. If you can go watch it in 3D on an IMAX. 16th of 16 in 16. Thought Bubble was our 16th and final convention of the year (I've got Jeremy Briggs to thank for the title of this posting). As the biggest and best pure Comic Convention in the UK it is always a great end to the Convention year. 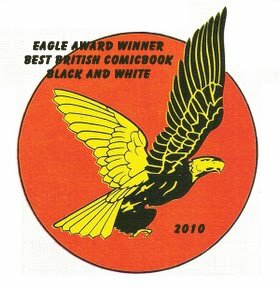 With four members of the Accent UK team at this year's event we were raring to go and as is always the case, completely blown away by the other comic books on display in the three venues. With Thought Bubble we find that we have more returning customer's, looking for the latest issue of WesterNoir or Stephenson's Robot. It was great catching up with our readers, most of them I recognize now, and amazing that some of them have framed our prints and Tarot Cards or have a shelf in their houses dedicated to Accent UK books. Very humbling. It was great catching up with a whole host of people, old friends and new. Yep, Thought Bubble has a real comic buzz about it that I feel at no other Convention. All credit to Nabil and the gang for keeping it the success it has become. We were at the very first event some 10 years ago and to 15 or so tables have become... well... a lot more. I'm quite enjoying the challenge really,.. It's odd, and quite nice, in this digital age to go back to basics. Three days standing behind a stall selling comics. Is selling comics becoming a young man's game ? Will my poor old legs survive ? Will they then be able to drive us all back up North afterwards ? Will I stop opening blog postings with a load of questions ? We are regulars at the MCM events now, and have almost become part of the furniture. 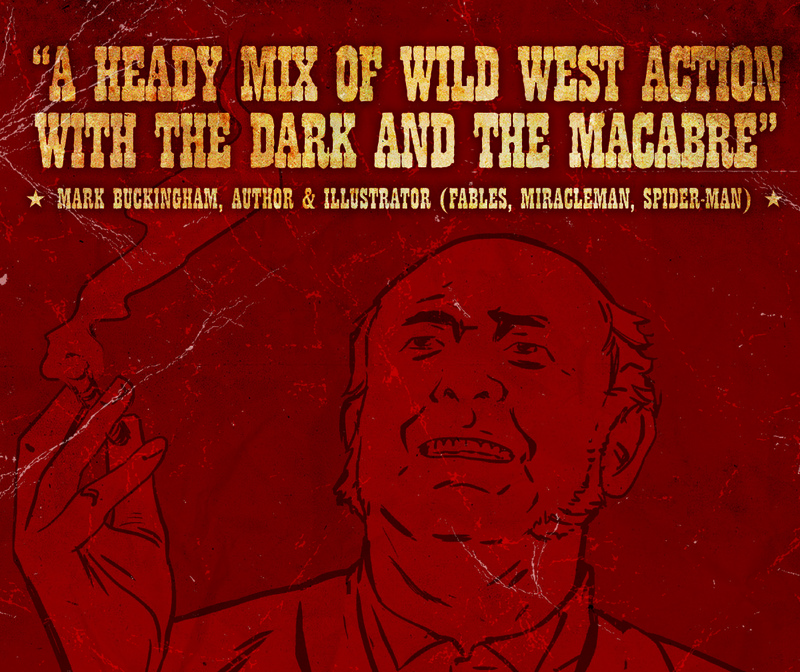 People expect to see us and head straight for the latest issue of Stephenson's Robot or WesterNoir when they do. 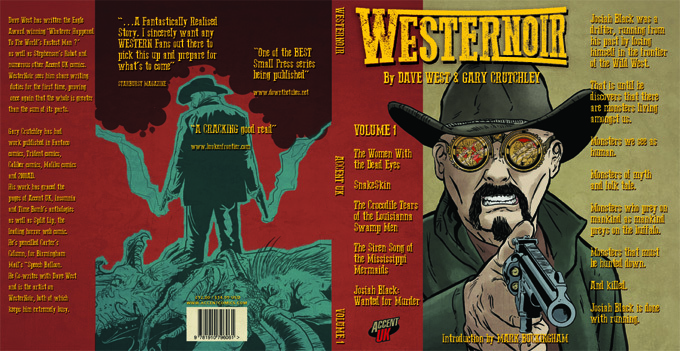 There are also an almost constant number of new customers and this year they had the opportunity to pick up our first collected edition of WesterNoir. After a couple of let downs by AirBnB we ended up in a Travelodge in Woolwich Arsenal, which made things a little more expensive. Each morning we took the DLR and then walked over the Thames by way of a bridge that was at the top of a very tall flight of stairs. I've never seen the like but it did provide a nice view. Now the thing about MCM events is that whilst they attract a huge number of people, most of those are dressed in elaborate costumes and come to parade around, meet friends and generally have a great time. They are not really there to buy comics. Some of the costumes really are great though and you can't help but get swept away by it all. Despite this the Comic Village gets bigger and bigger, which is the other concern. Will the punters have spent all of their cash on the great selection of comics on offer before they even get to our table ? ...but didn't want to upset her further. She looked like she was having a pretty rough day as it was. Friday is the quieter of the three days, but each year there seem to be more people there than the year before and so we did find ourselves being fairly busy and we did sell more comics than we expected to. I managed to pick up Skies On Fire issue 3, which is a great independent comic. I don't tend to recommend books but this one is fabulous and I bought it first thing to make sure they didn't sell out before I got to them. Saturday was crazy busy, Yes we had quiet spells but when it picked it up did so in style. We sold a healthy number of books despite the great competition for the customer's cash and were very happy, We decided to celebrate by having our evening meal in the O2, and took the cable car to get to it, which you use your Oyster card on and is really cheap. Steve Tanner joined us and helped calm Colin down, who isn't keen on heights. Sunday was half way between Friday and Saturday with regards sales and number of people passing by. So it all added up to a very productive three days. I love the way the Cosplayers all appreciate each other's efforts and this was typified by Superman and Wonder Woman helping out a poor Dinosaur in distress. But it's the age old dilemma. If the Dinosaur then goes on to do some despicable act, are the two super heroes somehow responsible ? In this case the Dinosaur in question got into a light sabre duel with another dinosaur and it didn't end well for the poor thing. And we saw it first Mr Lucas... or should that be Disney. Three really enjoyable days saw us have one of our best ever Cons. 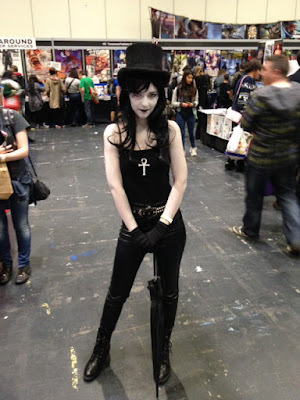 I'll leave you with my favourite Cosplay. Looking forward to the next London MCM in May, hope to see you all there again. This is our closest event. For Gary it's just down the road and for me it's a 20 minute drive. A little further for Colin but it makes a change him coming out our way as it's usually us picking him up on the way to Manchester or Liverpool. It's a smaller event than either of those MCM shows but as we arrived we could tell that it was one that was appreciated by the locals. We were made to feel very welcome. There's a University degree course in Comic Books (didn't have that in my day) and a lot of the students and lecturers were present and we had been asked it we'd give a talk to the students the following day, I couldn't make it, running out of holiday days with my day job, but Gary and Colin were up for it. The Con itself was quite but pleasant. We did sell a decent number of books, met new customers, chatted to Paul Birch (who popped in) about the new Birmingham Comic Event next year (which we'll be attending) and caught up with the crazily talented Frazer Irving. Hope we can make next year. I suddenly realized that we were selling many more copies of issue 1 and Conventions than I'd expected and that if I didn't do something, and quickly, I'd have very few to sell at the Manchester MCM. How did I manage to get myself in this situation ? I'd already reprinted a few of the titles a couple of times but it's really tricky keeping equal numbers of the issues in print. And I'd taken my eye off the ball. 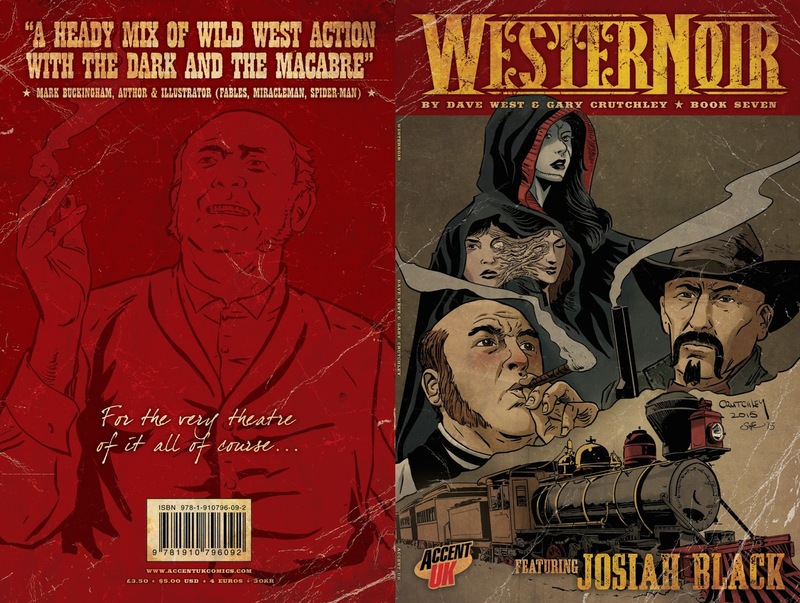 My nephew had been wanting to get involved in Accent UK for quite a while and a little while ago I suggested he have a play with designing the WesterNoir TPB, which we wanted to have french flaps on, you know, just to make it a little different. I quickly got in touch with Michael to see how it was going. It was going pretty well. Maybe, I thought, I can pull this off. Would Stuart (or printer) pull together the PDF if I sent him all the tif files ? 'Of course Dave, no problem'. Had Gary finished the new 10 page story that we wanted to add to the book ? 'Yep, just lettering it now'. 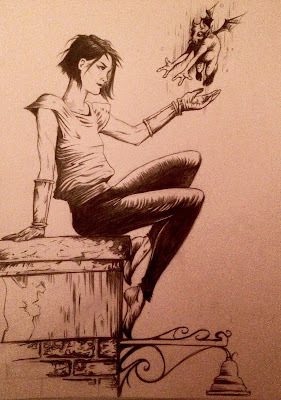 Had we got all the pin ups in from those that were interested in contributing one ? A few emails later and 'Yes', over the next two days I'd have them all. 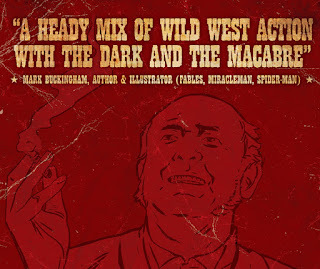 Did Gary have the Introduction that Mark Buckingham offered to do ? But it was only 2 weeks and a bit to the Manchester MCM itself. 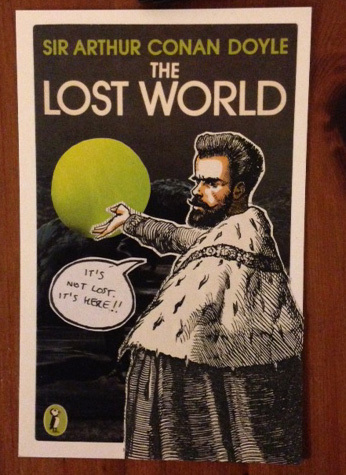 Could Stuart get them printed in time ? Well, and email today confirmed that a good number of boxers had been shipped to my home address.